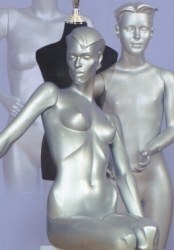 Designer Imports is a company established since 1996 and has been importing a great range of mannequins. We are based in , South Africa, in the vicinity of Durban. Our specialised market ranges from industrial rackings, office furniture and the latest in mannequin displays. Over the years, we have developed a good understanding of the requirements for the mannequin markets. We are proud to say that we are now the suppliers of many established chain stores. Our motto to our traders is to maintain high standards in our service and to be the best and most efficient supplier.